SUMMARY: A beautiful and sad story of lovers held apart by the Civil War. DETAILS: Sad… Jude Law and Nicole Kidman star in this beautifully filmed love story set in and around the context of the Civil War. 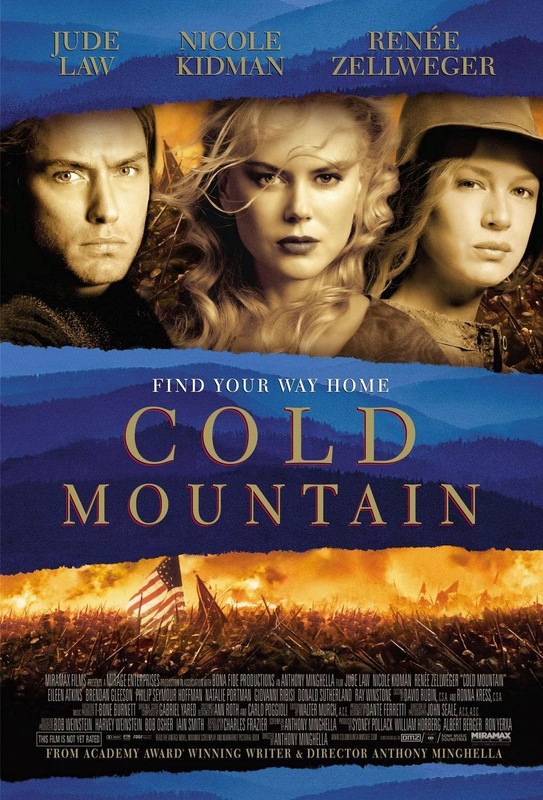 A pure preachers daughter moves to Cold Mountain and catches the eye of a young laborer just as war breaks out between the States. He must go fight and she must stay behind and wait… and wait. It’s a story of women who need to be strong, of men who desire love more than war, and of the injustices that hunt them down. Their are strong anti-war themes and a couple scenes with strong sexuality in this powerful story.